The MPH provides a balance of applied science and real-world experience, ensuring our graduates are prepared public health leaders. Learn to identify risks to human health and the environment, and strategies for prevention. Our graduates are in responsible positions in industry, government, consultancies, and academia. Faculty in the department are working to solve the current problems facing human health and the environment. Research is focused on preventing people from being sick, injured or killed at work; providing safe drinking water; preventing infectious disease transmission, like Zika; the impact of climate change on Indianapolis; and the design and management of sustainable consumer products. 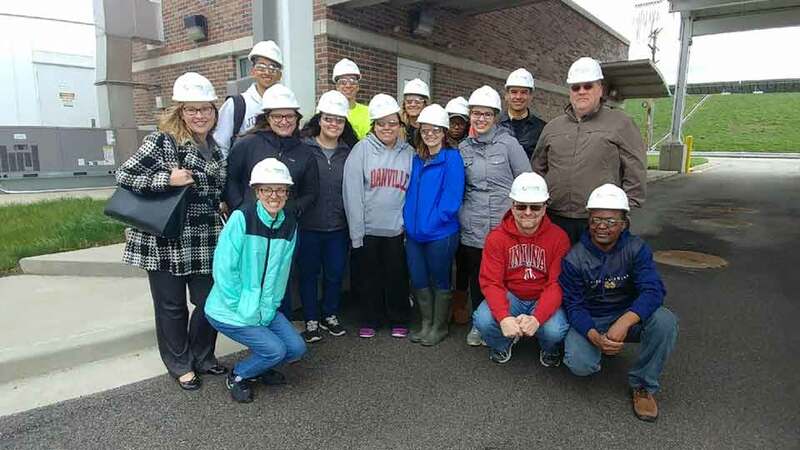 The curriculum includes 45 credits comprised of the public health core, environmental health fundamentals like toxicology and risk assessment, electives, an internship, and final capstone project. The MPH in Environmental Health Science focuses on six core competencies that serve as a measure of growth and criteria for assessment. For detailed admissions criteria and instructions for applying to the Master of Public Health degree, click a button below. Students who are interested in this degree are encouraged to contact the IU Richard M. Fairbanks School of Public Health Office of Student Services at (317) 274-2000 to speak with one of our friendly, helpful admissions advisors. We’re happy to answer questions or schedule a visit to the school.